Extremely beautiful stove with a provenance from Äleby Mansion in Stallarholmen. 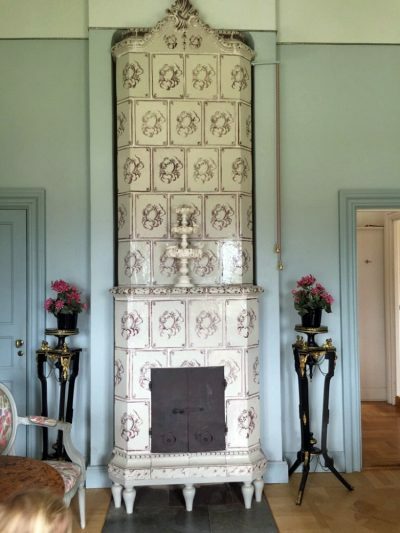 Made in about 1750, with greyish glazing and hand painted sepia toned decorations on each tile. Equipped with wooden feet. The stove has been placed in a niche, but can also be installed at a straight wall. Height 338 cm.